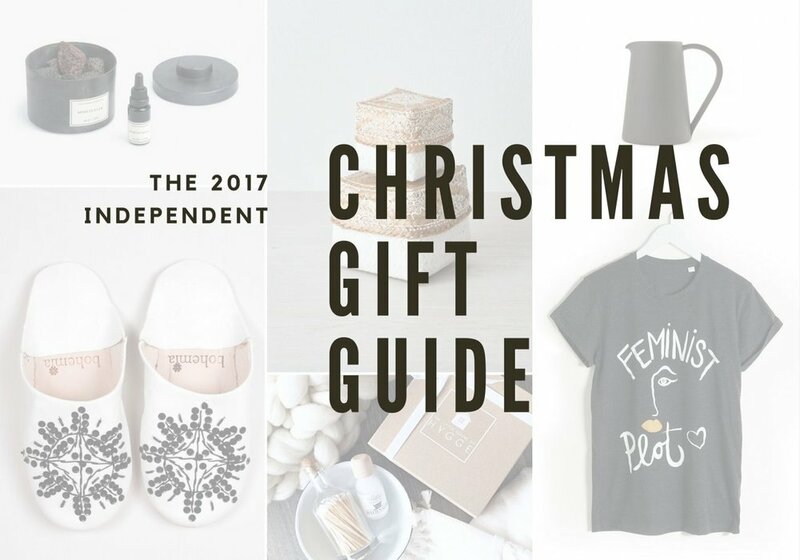 And just like that it is time for another Christmas gift guide! I mean where has the year gone! So I have put together a few of my favourite things mostly from small independent sellers and with quite a few of them not only will you be buying a beautiful gift but you will also help make the world a better place! Surely what Christmas is about... My philosophy on Christmas gifting is simple: Don't focus on quantity but on quality. I much prefer only buying one perfect gift rather than 10 sh*tty little things that end up in the bin in January! And yes that theory applies to what I buy for my children. I hate waste, I hate clutter and if money is short then I would rather buy a beautifully hand made card than another gift box containing shower gel and deodorant! Simplify Christmas and enjoy the process of choosing one special gift, enjoy wrapping it because Christmas is definitely about giving. Let me know your thoughts on Christmas gifting... Do you enjoy the process of choosing a special gift and wrapping etc or is it all a chore that needs to get done? Just comment below and happy shopping!